Flanked by Nigerian President Olusegun Obasanjo and U.N. Secretary-General Kofi Annan, President Bush announced Friday that the U.S. would contribute $200 million to a global AIDS fund. Health advocates say it's not enough. "We must all show leadership and all share responsibility. For our part I'm today committing the Unites States of America to support a new worldwide fund with a founding contribution of $200 million," the president said at a Rose Garden ceremony. "In a part of the world where so many have suffered from war and want and famine, these latest tribulations are the cruelest of fates. We have the power to help," he said. Bush said money could "reduce suffering and spare lives." The U.N. plan to create a war chest to fight AIDS, malaria and tuberculosis calls for financing from rich countries as well as private contributions. The pledge is seed money for the hoped for $7-10 billion fund. Both Obasanjo and Annan thanked Bush. They said they remain far from their goal and gently nudged Bush to consider giving more. "But with this beginning  and just the beginning, as you have kindly emphasized for the U.S.  all nations, governments, foundations, private individuals and private sector and indeed all human kind who are stakeholders in the health of humanity are challenged and called upon to make contributions," said Obasanjo, who marked the first visit by an African president to the Bush White House. Annan, who is from Ghana, likened the U.S. contribution to a call for "all hands on deck." Since the vast majority of people suffering from infectious diseases who cannot afford treatment are in Africa, the continent is expected to get a large share of the funds. Of 36 million people around the world infected with HIV, roughly 26 million live in and Africa, and of the 23 million killed by it worldwide, 17 million were sub-Saharan Africans. Bush, who said the "sheer number of those affected and dying is almost beyond comprehension," said more U.S. money would be made available when Washington has established where its support would be most effective. AIDS activists criticized the amount of the Bush administration's pledge. 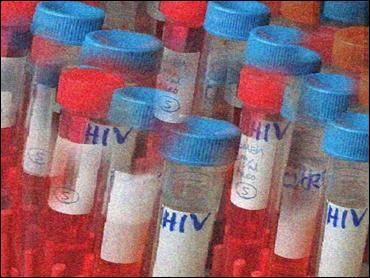 "It's criminally small," said David Bryden of the Washington-based Global AIDS Alliance. "The United States has go ample money for this and the money has got to be found  something along the lines of $2.5 billion." " said the activist Health GAP Coalition in a statement. "It sends a message to other wealthy nations that this U.N. trust fund  and the lives it could save  are not worth the investment. Last month former President Bill Clinton attended an African AIDS summit hosted by Nigeria, Africa's most populous country. He told the conference he thought the United States could easily afford to contribute as much as $1.75 billion to the fund.